ACDSee Pro 5 is a complete photo editor and photo management solution. 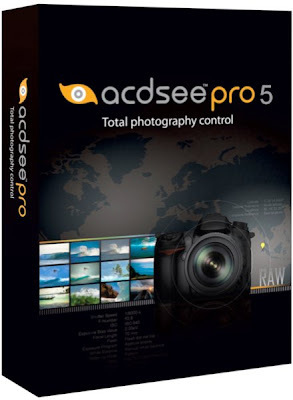 Designed for professional photographers and advanced amateurs who shoot DSLR and work with RAW files, ACDSee Pro 5 offers a state-of-the art RAW processor for non-destructive photo editing and RAW image conversion. With Manage, View, Develop, Edit and Online modes, it is the only solution that allows photographers to carry out all essential tasks of the photography workflow and digital asset management (DAM) in one place. ACDSee Pro 5 quickly gets you back to doing what you do best: shooting amazing photographs. Create stunning HDR imagesLCE (Lighting and Contrast Enhancement) single-exposure HDR algorithms powering Pro's Lighting tool accurately and intelligently stretch the dynamic range of your photos, making them incredibly realistic or atmospheric.